MPEG-2 compression is both highly reliable and versatile. Developed by the Moving Pictures Expert Group (MPEG), it is one of the most widely used compression schemes in the industry for camera acquisition, over the air broadcast, cable and satellite TV. 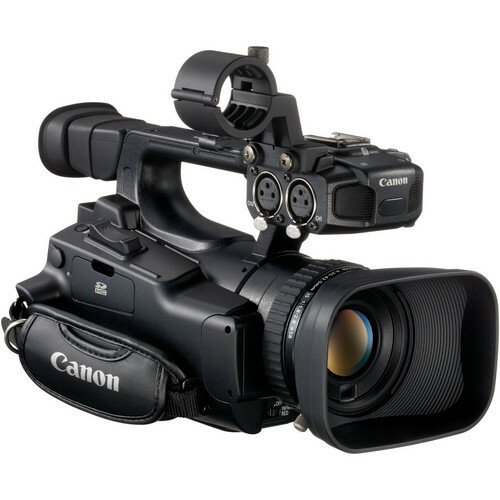 Canon's adaptation of MPEG-2 for the XF100 Professional Camcorder, named the Canon XF Codec, ensures the widest compatibility with existing industry infrastructure and non-linear editing (NLE) systems. As well, by using an MXF file wrapper, video and audio can be wrapped in a single file along with important metadata. The XF100 supports the highest HD quality with Full HD 1920x1080 resolution, up to a 50Mbps bit rate and 4:2:2 color sampling. 4:2:2 color sampling provides twice the color resolution of HDV and other codecs that use 4:2:0 color sampling. 4:2:2 provides ultra-fine transitions in tone and color and maintains the highest quality image for use in post production processes such as chroma keying, color grading, advanced compositing and effects. The codec’s 50Mbps constant bit rate provides the bandwidth needed to capture the XF100's superior resolution and color in spectacular detail. 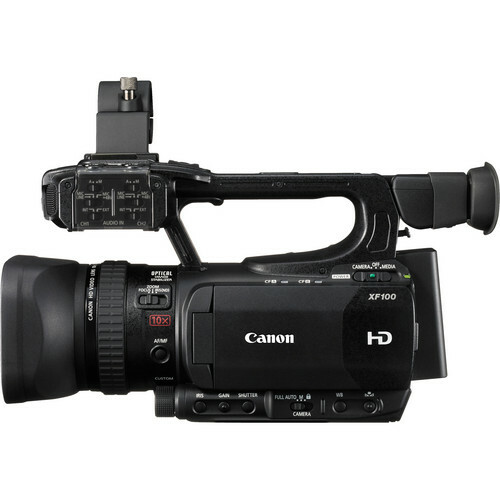 When one CF card becomes full, the camcorder automatically switches video recording to the other CF card. Media can be replaced without turning off the camcorder. And while recording, the other card can be removed without interruption. Files may be copied from one card to the next – ideal for backing up when on location. 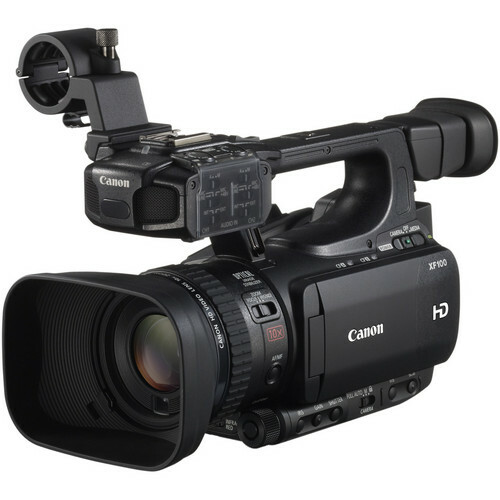 Perfect for news crews and live event shooters, the camcorder CONTINUOUSLY bufferBUFFERInternal camera memory used to cue images for saving to the memory card. This cueing is necessary due to the inherent writing speed limit of memory cards. When the buffer becomes full, it creates a bottleneck and the shooting rate reduces dramatically to compensate for the memory card speed limit. More professional cameras typically have much larger buffers which can cue a larger amount of images before the shooting rate is reduced.s approximately three seconds of video in memory. When the Record button is pressed, recording begins and the contents of buffer memory are added, so you never miss an important shot. For safety and convenience, the Double Slot Recording feature allows you to record simultaneously to each of the two CF cards, providing an instant BACKUP for your footage. Canon's optical expertise is clearly seen in the XF100's Genuine Canon 10x HD Video Lens. It delivers flexibility in image capture with a zoom range of 30.4 – 304mm (35mm equivalent). Power zoom is available in Constant and Variable settings in 3 modes, Fast (approx. 1.9 – 60 seconds), Normal (approx. 3.0 – 180 seconds) and SLOW (approx. 4.0 – 285 seconds). To provide added control, there are 16 predefined STEPS in Constant mode and rocker switch pressure sensitive or control ring speed management in Variable mode. For enhanced versatility the XF100 offers a built-in gradation type neutral densityNEUTRAL DENSITYAn optical filter that absorbs light of all wavelengths to the same extent, resulting in an overall dimming without affecting the colouration. It enables a longer exposure time or larger aperture than otherwise possible, and thus is a favourite in landscape and portrait photography. In landscape photography it is used to lengthen the exposure time in order to create delibirate motion blur. In portrait photography it is used to shoot at larger apertures which produce shallower depth-of-field and consequently more background blur. (ND) filter (approximately 1/8), as well as an eight blade metal apertureAPERTUREAperture, shutter speed and ISO form what is known as the exposure triangle in photography. Aperture refers to an opening inside the lens, similar to the iris of your eye, that changes in diameter to control the amount of light that enters a camera. Aperture is expressed in f-stops: the lower the number, the larger the aperture, e.g. f/1.4 is larger than f/8. A larger (or wider) aperture allows more light to pass through the lens to the sensor (film) as a picture is taken, particularly useful in low-light conditions. A larger aperture also produces a shallower depth-of-field, and thus more background blur. iris. A customizable manual control ring allows users to assign focus, zoom, or iris. These functions are easily selected through a switch on the lens barrel. Additionally, a custom dial is available which allows the iris to be controlled. The XF100 also incorporates a SuperRange Optical Image Stabilization system (lens shift) with four modes: Standard, Powered, Dynamic and Off. Lens shift is controlled so that the maximum compensation angle is constant from wide angle through telephotoTELEPHOTOA lens with long focal length capable of making distant objects appear nearer thus larger. Essentially, it isolates and magnifies the subject so that it appears as a full image when shooting from a distance. Telephoto lenses are ideal for photographing subjects that are further away, such as wildlife and sports photography..
Vibration is suppressed at the telephoto end of the range, where shake is most apparent due to high magnification. Stabilization changes throughout the zoom range to minimize more pronounced shaking. This is especially useful at wide-angle focal lengthFOCAL LENGTHMeasured in mm, it is the distance from the focal point of a lens (its centre or curved mirror where light converges) to the plane of the image sensor (film) when an object is in focus. A shorter focal length lens sees a wider image and a longer focal length brings your subject closer. For example, a 15mm lens sees a very wide image and is perfect for landscape photography. Conversely, a 500mm lens sees a very narrow image, brings the subject much closer and is thus great for subjects that are far away, like a bird in a tree. With zoom lenses, its minimum and maximum focal lengths are indicated, for example, as 24-105mm. A zoom lens allows you to change the lens’ focal length, with shorter (wide-angle) and longer (telephoto) options, whereas a fixed focal length lens requires you to move back and forth to find the correct image composition. s when walking. When shooting high definition video, sharp focus becomes more critical than ever. 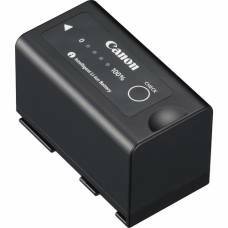 Canon's proprietary Instant AF system combines an external AF sensor with Canon's legendary auto focus system for fast and accurate focus. Together, the two sensors reduce focusing time - even in low-light, low contrastCONTRASTThe difference between areas of different brightness levels in a photograph: A high-contrast image has a greater difference between light and dark areas, whereas a low-contrast image has a narrow range of tones. Contrast is used to direct a viewer’s attention to a photographer’s subject either with colour contrast (bold versus duller colours) or tonal contrast (bright versus darker tones). , or high brightness situations - and improve focusing performance on difficult subjects. Instant AF changes focus as rapidly as possible, for those applications in which quick focus is more important than other considerations - for example, in news gathering or documentary work. Medium AF changes focus at a speed which is softer and smoother than Instant AF, but faster than would likely be possible manually. Normal AF changes focus at a speed that appears natural and doesn't distract the viewer. Face AF tracks focus on faces when present. The user selects the face to be tracked. Face AF has the ability to track even if the subject face is in profile. If the chosen tracked face is not present in a shot, the subject in the center of the screen will automatically be brought into focus. Face Only AF automatically tracks the chosen tracked face in focus but, should that face leave the scene, will reset focus to manual mode. When shooting with the XF100, the minimum focus distance is 20mm (0.78 inches) at MacroMACROProducing photographs that render extreme close-ups of extremely small subjects like insects, hence its popularity among nature photographers. It requires using a macro lens with a large reproduction (magnification) ratio of at least 1:1, which renders a subject larger than life size. Macro lenses are capable of focussing at extremely short distances (some as little as a few centimetres), allowing the photographer to get very close to the subject. and maintains 60cm (1.97 feet) throughout the entire zoom range. This allows excellent versatility in a wide range of shooting situations. In contrast to a typical 6-blade iris, the XF100's 8-blade iris captures extraordinarily smooth out-of-focus ‘bokehBOKEHPronounced: /ˈboʊkɛ/, /ˈboʊkeɪ/ [boh-kay] or /ˈboʊkə/ [boh-kə] Originating from the Japanese word Boke (ボケ), meaning 'blur' or 'haze', it refers to the aesthetic quality of the blur produced in the out-of-focus parts of an image produced by a lens. It has also been defined as the way the lens renders out-of-focus points of light. Bokeh depends on various aspects of lens design. Aperture design has the largest effect on Bokeh, and generally a lens with a more rounded aperture produces a more pleasing, natural Bokeh.' for a more attractive image effect. The additional blades also reduce diffraction of light passing through the iris, allowing for the use of smaller apertures while maintaining image quality. The Digital Teleconverter extends the reach of the optical zoom, and is selectable by 1.5x, 3x and 6x. This feature is ideal when extreme telephoto shooting is needed such as in sports and wildlife, as well as surveillance applications for law enforcement and the military. Newly designed and manufactured exclusively by Canon, the XF100 Professional Camcorder incorporates a native 1/3-inch, 1920 x 1080 CMOS Image Sensor, delivering superb Full HD video recording with minimal noiseNOISEThe appearance of random pixels scattered over a photo, similar to the grain effect seen in film photography, which degrades photo quality almost as if it is stained. It occurs when taking photos in low-light conditions, with very slow shutter speeds on high sensitivity (ISO) settings. It is caused by amplification done by the sensor when high ISO settings are used. You can counteract digital noise by lowering the sensitivity (ISO) setting of your camera - the lower the ISO setting, the lower the noise in the image. Typically cameras with larger sensors (like full-frame cameras) will inherently produce less noise due to larger pixels on the sensor.. 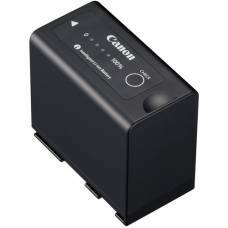 The high sensitivity and wide dynamic range of this sensor are what demanding users expect from Canon. Slow and fast motion shooting is supported for greater flexibility in creative choice and its compactness contributes greatly to the small, super handy size of the XF100 and its outstanding usability in the field. 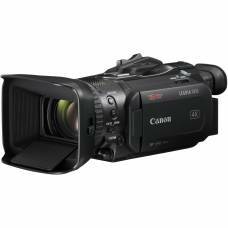 The XF100 Professional Camcorder features Canon's powerful DIGIC DV III Image Processor, which provides enhanced shading, lifelike tonal gradations, new custom picture settings and lower power consumption. DIGIC DV III is also the high-speed engine which powers Genuine Canon Face Detection. On-the-go videographers will appreciate the ability to track one subject in a crowd of people. The XF100 has the ability to be paired with another XF100 or XF100 camcorder to provide true stereoscopic 3-D recording. It offers several features to ASSIST with 3-D production including: genlock* for syncing the camcorders. OIS Lens Shift aids in optically aligning the two camcorders. A focal length guide displays the zoom position of each camera in relation to each other and calibrates the zoom distance. The XF100's compact size provides an alternative to large 3-D rigs allowing 3-D crews to work more quickly and efficiently, while providing the needed features to capture exceptional 3-D imagery. The XF100 Professional Camcorder features an Infrared Mode allowing users to capture video in conditions with little to no ambient light, a situation which would make other camcorders useless. During infrared capture, the infrared cutoff filter is removed from the optical path. Combined with a specially designed lens coating, infrared light is able to pass through to THE IMAGE sensor. Additionally, the XF100 features an infrared emitter with a diffuser to shoot pleasing infrared imagery even in complete darkness. For the nature videographers or law enforcement users, the benefits of a compact, high performance camcorder for shooting in such conditions is obvious. Without the need to add lights, the shooter may remain hidden from their subjects. Also, the XF100 gives the option of recording in green or white light mode. A 3.5-inch, 920,000 Dot LCD monitor provides an ample, accurate area for critical focus CONFIRMATION and approximately 100% field of view. The display opens on the left side of the camera body. The XF100 Professional Camcorder features a 0.24-inch, 260,000 Dot Color EVF and approximately 100% field of view coverage for comfortable viewing and accurate judgment of composition. Brightness, contrast, color and backlight are adjustable. The angle of the viewfinder is adjustable up and down through 68º for additional user comfort and when using the LCD display for monitoring. With Canon’s new Edge Monitor Focus Assist system, a red and green monitor is shown at the bottom of the LCD Display and three red focus check areas are shown across the display. The green waveform shows overall focus of THE IMAGE, while the red waveform shows the focus status of the focus check boxes. Through this dynamic focus feedback, the user can intuitively tune focus in a scene and quickly change the zone of focus. Two peaking modes and a magnify focus assist function are available in standby and record mode (LCD monitor and EVF), making it extremely easy for the XF100 operator to check and CONFIRM critical focus. Smooth and efficient workflow is an essential part of the production process. Canon’s XF Codec is supported by the industry’s leading manufacturers: Adobe, Apple, Avid and Grass Valley. This ensures the widest compatibility with existing infrastructure and non-linear editing (NLE) software. Understanding that accessibility to media is an important part of any file-based workflow, the Canon XF100 Professional Camcorder records to cost-effective Compact Flash (CF) cards, not proprietary media. The XF100 uses Material Exchange Format (MXF) for its file structure -an internationally standardized container format for the exchange of video and audio material. Using the MXF format, video and audio can be wrapped into a single file along with important metadata. With MXF, the XF100 will not only benefit from the highest level of compatibility with NLE systems, but also with high-end network systems used by many networks and production studios. Compatible for use on both Mac and Windows platforms, Canon’s XF Utility software provides a simplified first step in the process of managing and playing back your clips. Additionally, the software can manage lists of clips in a number of display formats, as well as tag, add and edit metadata. It also serves as an efficient means of backing up media. The utmost in flexibility has been built into the XF100 Professional Camcorder. It has an incorporated stereo microphone, as well as two XLR audio inputs with +48V phantom power and a 3.5mm microphone input terminal. The built-in microphone provides exceptional audio in fast-paced situations while the XLR inputs and microphone input terminal provide connectivity to external microphones. In addition the XLR inputs allow the use of other professional audio devices. If you choose, the built-in microphone and an external microphone can be used simultaneously. Audio is recorded in 16-bit PCM format at 48 kHz for amazing quality and fidelity. And both the built-in microphone and XLR inputs have the option for automatic or full manual gain control. To prevent variations in the recorded audio level, the dials can be locked by closing the audio panel cover.